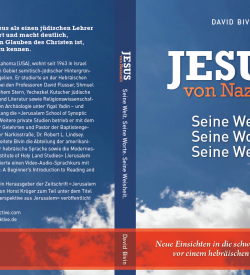 In this study Professor Ruzer suggests that there was a broader first-century Jewish context behind the narrative strategies employed in Mark’s prologue to Jesus’ messianic biography. On the other hand, he also demonstrates that Mark 1:9-11 can be used to recover an early phase of a pattern of messianic belief, seemingly shared by wider Judaism, that continued into the rabbinic period. In other words, New Testament evidence can be an important witness to broader trajectories in early Jewish messianic beliefs. Originally released as a pamphlet entitled The Gospels in 1972, Jerusalem Perspective brings you this discussion of the Synoptic Gospels by Robert L. Lindsey in a newly revised and updated edition. Herein Lindsey critiques the theory that the Gospel narratives were developed orally by Greek speaking Christians in a decades long process. Lindsey argues that there is strong evidence that the material preserved in Matthew, Mark, and Luke descends from a Hebrew document written shortly after the events it describes. 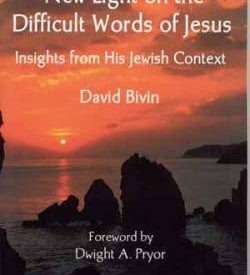 David N. Bivin and Joshua N. Tilton suggest a Hebrew reconstruction of Jesus’ instructions about how the twelve apostles were to behave when they entered a town. In this pericope we learn about the giving and receiving of hospitality among Jesus’ earliest followers. We also learn what may be wrong about the popular view that shaking the dust from the apostles’ feet was a symbolic action meant to signal to Jews who rejected Jesus that they were henceforth to be considered as Gentiles. “Shake the Dust from Your Feet”: What Did the Apostles’ Action Signify? The standard interpretation of the apostles’ dust-shaking action proposes that Jesus turned the concept of the impurity of Gentile lands against the Jewish inhabitants of cities within the (ritually pure) land of Israel. This interpretation concludes that shaking the dust from their feet dramatically symbolized that Jesus’ apostles would henceforth regard the Jewish inhabitants of a city that had rejected their message as though they were cut off from Israel. It is time for this mistaken interpretation to finally be put to rest. In this segment of the LOY commentary David Bivin and Joshua Tilton consider the command to avoid Gentiles and Samaritans and the prohibitions against bringing travel gear for the apostles’ journey. Jerusalem Perspective is excited to announce that in the coming months Dr. R. Steven Notley will be sharing a series of blogs on Jesus’ parables with our readers. In anticipation of these blogs, and as a preview of what we might expect from Dr. Notley, we are sharing two sermons on the parables that Dr. Notley delivered to the Narkis Street Congregation in Jerusalem. Enjoy! 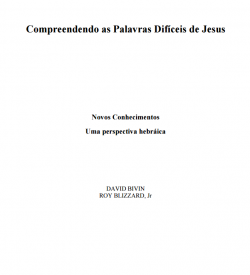 In the previous article of this series Halvor Ronning examined the statistics of verbal identities involved in comparisons between materials shared by all three Synoptic Gospels (Triple Tradition). Now in Part Two Ronning will bring into consideration the statistics pertaining to materials shared in only two Synoptic Gospels (Double Tradition). Ronning wiargues that the consistency with which an author treats his sources is a major clue for determining the order of Synoptic dependence. Matthew 1:1-25: In the Year of Jubilee? The genealogies of Matthew and Luke reflect diverging Jewish opinions about the time for the advent of the redeemer. Centuries of Christian readers have pondered the meaning of the Greek term Ναζωραῖος (Nazōraios), usually rendered Nazarene, and which Old Testament passages Matthew had in mind when he interpreted the relocation to Nazareth as a fulfillment of Scripture (Matt. 2:23). Where in the Hebrew Scriptures is it expected that the Redeemer will be called a Nazarene or come from Nazareth? Yeshua told his twelve emissaries: “There’s a huge harvest, but a shortage of harvesters. So send word to the owner of the field to hire more workers to help them finish the job. “Jot” and “tittle” are not everyday words in English. What do they mean and how should Jesus’ words in Matthew 5:18 be understood? 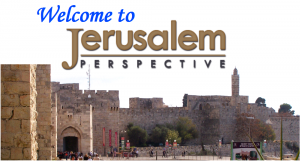 Jerusalem Perspective‘s editor-in-chief, David Bivin, tackles these questions on behalf of a subscriber’s request for help. Yeshua summoned his twelve emissaries to Israel and he gave them power to drive out dangerous spirits and to heal every disease and sickness those spirits had caused. Then he sent them on ahead in pairs to every city he intended to visit. One day Yeshua called his disciples together and chose twelve of them to be his emissaries to Israel. Their names were Shimon Petros and Andrai (his brother), Yaakov, Yohanan, Pelipah, Talmai’s son, Matai, Tomah, Yaakov Halfi’s son, zealous Shimon, Yehudah Yaakov’s son, and Yehudah from Keriyot, who was a traitor. The July issue of The Church Quarterly Review in 1922 contained an article by William Lockton in which the author challenged the scholarly consensus concerning the solution to the Synoptic Problem. This important study, which is now in the public domain, was later to be of great importance to Rev. Dr. Robert L. Lindsey as further confirmation of Lindsey’s growing conviction that the Gospel of Mark is a highly edited epitome of the Gospel of Luke. Why did the chief priests and Sadducees continue to oppose the early believers even after the crucifixion of Jesus? 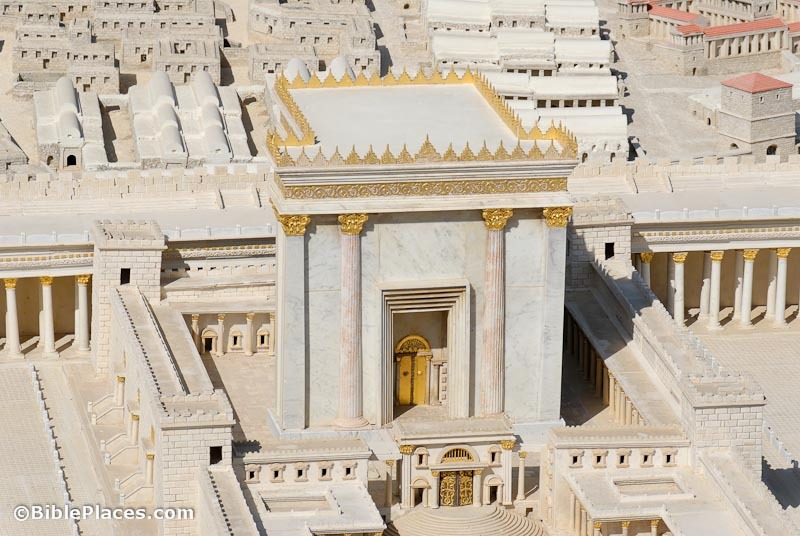 In this video Marc Turnage places the chief priests and Sadducees in their historical context and explains why the preaching of the apostles was unwelcome news to the Temple authorities in Jerusalem. Welcome to JP (that's our site's nickname). Our work is centered on better understanding Jesus' life and teachings, together with the language, land and culture of his day. If you are new to the site, please read the "Welcome to Our Site" page. We've created it to help orient you to the many features our site offers. The best way to get to know our site is with our weekly email which will introduce you to our many features over the next 100 days. 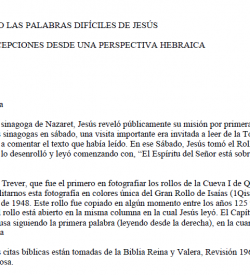 Life of Yeshua (LOY) – A Commentary on the Synoptic Gospels, with a Reconstruction of Their Conjectured Hebrew Ancestor. Check it out now!